Once the capacity of each component is determined, the “bottlenecks” in the system can be identified and the maximum capacity of the conveyor can be determined. For existing conveyors, the determination of capacity of each component is more than just carrying out calculations as per the standards. For example, the conveyor drive performance can be validated against the power draw data from the Supervisory Control and Data Acquisition (SCADA) system. 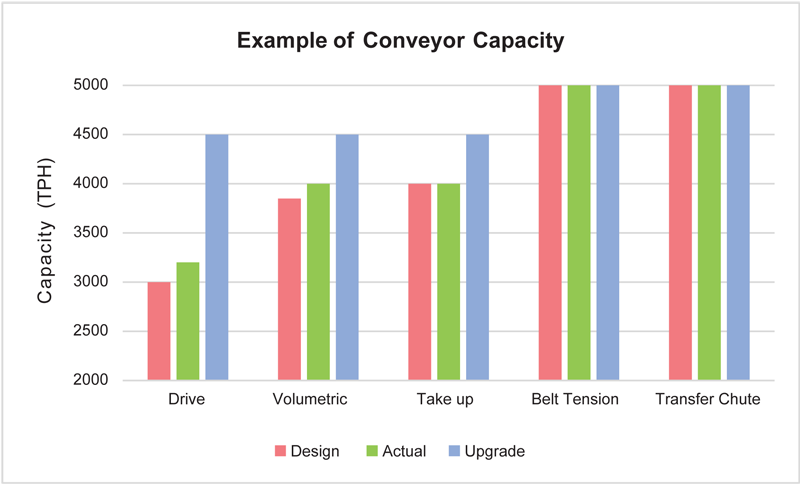 In some cases, the conveyor consumes less power compared to designed power (conservative design), hence the actual capacity of the drive will be higher than what’s nominated in the design calculation. 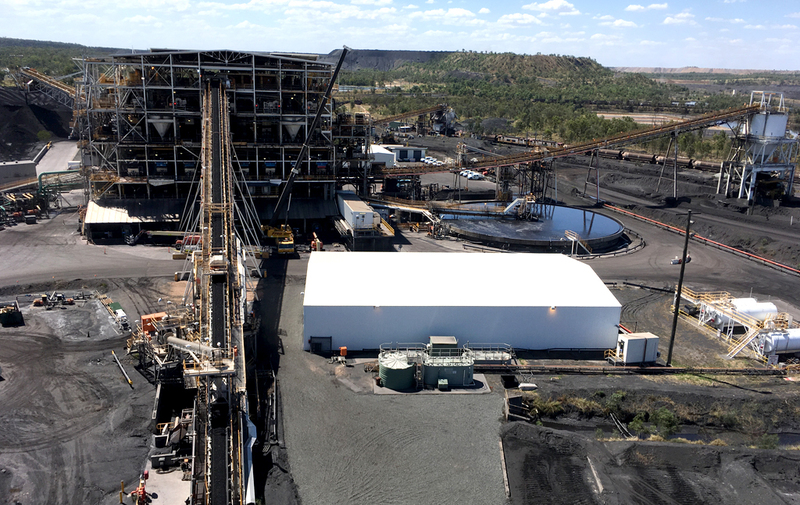 For the volumetric capacity of the belt, some conveyors have more consistent loading (less surge), which can be validated against SCADA data and site observation, and those conveyors can be loaded more than the nominal “100% full”. For the owner and operator that wish to get more out of their conveyors, upgrades can be implemented to increase the capacity of the “bottleneck” components. For the example conveyor shown above, it was recommended to replace the drive unit and increase the take-up weight. The new drive unit included a new gearbox to speed up the conveyor (increase volumetric capacity) and bigger motor (more drive power). The recommended upgrade can be completed separately over a two one-day maintenance shutdowns. In a lot of cases, the capacity of existing conveyor can be increased with relatively low cost and minimum interruption to operation.